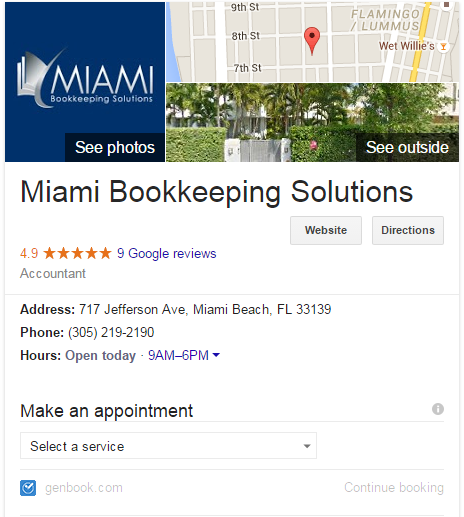 Online Scheduling: on the Rise in Google and a Local Search Ranking Factor? I want to emphasize that I have not tested this – even to the extent you can “test” anything in local search. 1. 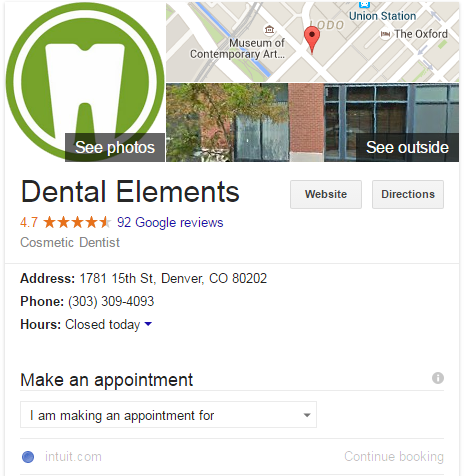 Google seems to integrate online “Make an appointment” software into local businesses’ knowledge graphs more often than it used to. 2. Businesses with the “Make an appointment” feature in their knowledge graphs often seem to outrank businesses without it. I’ve also seen FullSlate and PatientConnect365.com pop up on a few occasions. Also, Jesse Palmer of LoveandScience has shown me an example of a HealthGrades scheduler appearing in the knowledge graph. Use one of those services and you’ll probably get the “Make an appointment” feature showing up in Google when people search for you by name. It’s not only for doctors. I’ve seen it for accountants, massage therapists, and even cryotherapy saunas. It’s for anyone who wants to give clients / patients / customers the ability to book an appointment online using a third-party scheduler. That’s nice, but why might it be a local ranking factor? 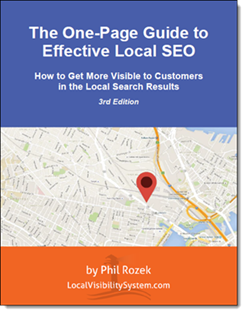 We local SEOs can be a superstitious bunch, and sometimes throw around that 6-letter F-word with abandon. Links to booking options will appear automatically for eligible businesses. There’s not currently a way to request this service for your business. 2. 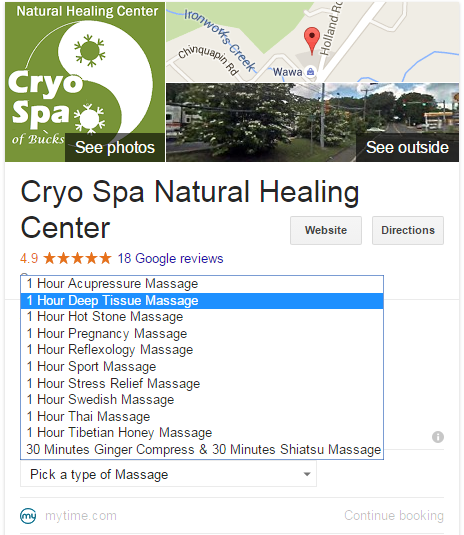 The knowledge graph has replaced the local Google page as the place to find info on local businesses in Google. seems to care about what’s in it and it’s shoved in your face, whereas your Google Places Plus My Business page is very hard to get to. 3. As Big Brother, Google must know whether and how searchers use with the online scheduling interface. One thing I’ve noticed is that a business using online scheduling only tends to outrank other businesses if it’s got reviews (Google reviews and others). As with Google Maps driving-direction lookups, a combination of online bookings and an influx of reviews might suggest to Google that customers do business with you and live to tell about it. Unlike most spammers – you’re serious enough to fork over. People can actually meet you, probably at your place of business. By the way, on the off-chance you own an online-scheduling site, you can apply to be included. Have you noticed more instances of “Make an appointment” lately? Did I miss any appointment-scheduling services that cause that to pop up? What do you think about the theory that online scheduling might be a minor ranking factor? Great read, especially how the appt booking service usually only helps someone outrank if they already have reviews. Making a guess, if this goes viral, Google will get into the online appointment scheduling business, it seems Google always wants to be the per-lead vendor, they’re just testing and testing to see how this works out. I am a fan of Vcita, wonder if anyone has seen their online appointment booking service show up for this. That seems a good guess, Justin. Google’s dalliance last year with HomeAdvisor suggests to me they’re pretty interested. Yeah, I have no idea why Google incorporates some scheduling services and not others. But I suspect over time we’ll see many more than the half-dozen or so I’ve noticed and listed in the post. I have a few clients who use Demand Force. Is there some type of special package they have to have in order for this to show up? Or is it just in beta/testing in certain areas? Good question, Joy. DemandForce’s booking feature has been showing up in the KG since last year, and I seem to be seeing more booking integration in KGs everywhere, so I doubt that it’s still beta/testing. What industries are your DemandForce-user clients in, and how long have they been using it? As you know, Google has certain criteria for getting the booking feature to show up in your KG, and I don’t know what those criteria are, but this might help us get a rough idea. This is great, I never knew this was even possible. I am trialling a scheduling, payment and CRM system called vCita which has a nice WordPress plugin and I have let them know about that application process. So you just let vCita know about the application, correct? PS: Haven’t seen this in the AU. Guess it’s US only for now. Wonder if Google will eventually provide a way for us to mark up this info so we can use an in-house appointment setting solutions. Good question, but I doubt it’ll happen. Healthgrades is another service that Google is using to make appointments. What’s interesting is that my client doesn’t have a deal with HG for bookings, it’s happening without any effort on our part. We sure would like to be able to track those bookings somehow. I have other clients using ZocDoc, but the option to schedule an appointment isn’t appearing. Interesting. Can you add a link here or email it to me? I’d love to take a look. I’ve been hesitant to have online scheduling. I like my office to have control of the schedule. They can cluster book appointments, leaving larger gaps for new patients, meetings, report writing, reading this blog, etc. I think if the schedule is free to the public my schedule will be left with mini-gaps that are useless to me. I wonder if scheduling software has a way around this? Phil, have you seen Google integrate scheduling into results in Canada yet? That’s a great point, Jason, and I agree. Google shows the scheduling in the KG precisely as an alternative to clicking through to your site. I suspect they’ll monetize it as an AdWords extension at some point. I am seeing it in Canada, albeit not as often. Could it just be that anyone who’s embraced the online scheduling functionality (and staffed for such) are also those setting aside marketing dollars for SEO that works, such as gaining local citations and writing highly clickable, locally-relevant content? I could definitely imagine the two being correlated IRL. I agree, Scott: Those businesses are probably more proactive in general. 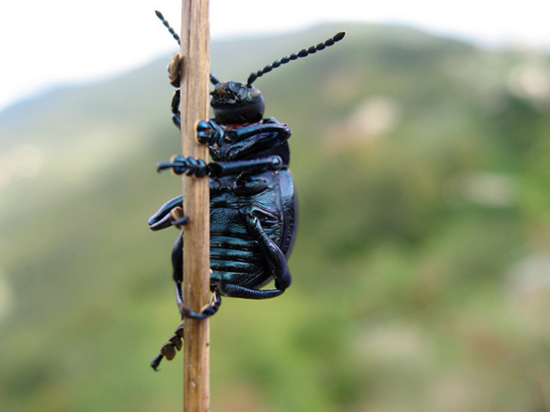 Who knows where the rankings benefit – if there is any – comes from. FYI, I did take pains to point out that this was just speculation on my part. I just saw the option on a few of my clients. Do you think it’s okay to just link it to the website’s contact page and it might still have the same SEO punch? I don’t have any of those booking software accounts. Thanks for the great post. I doubt there’s much or any direct SEO value to this. I suspect you’d get a bump if people consistently and long-term clicked on your page and took the next step – Google knows their every move – but that’s just my guess. Even if that’s the case, it’s too early to tell. In the meantime, you’d just add a URL simply for the sake of would-be customers/clients/patients. Does anyone know a booking system that integrates with google my business and google tag manager at best or at the very least google analytics?